This is an important issue, because the great interest Alinsky has for commentators today stems largely from his reputed influence on Barack Obama. One often hears critics of President Obama’s policies proclaim that he is acting “straight out of the Alinsky playbook.” Because Obama was a community organizer for a brief time before going to law school, many people have assumed that, as a disciple of Saul Alinsky, he was committed thereafter to apply Alinsky’s principles as a guide for whatever position he held in life. Many therefore assume that he is now acting on them as president. Alinsky’s own approach had some major successes. In Rochester, N.Y., he got Eastman Kodak to agree to hire more blacks. In 1965, he had been approached by ministers from Rochester after Martin Luther King Jr. had turned down an overture from them. This in itself provides an interesting contrast with some of the activism of later times: Alinsky took action after he was asked to intervene by community ministers. This was quite different from the kind of shakedown associated in more recent years with Rev. Jesse Jackson and Rev. Al Sharpton, the kind in which large corporations fill an organization’s coffers with money in exchange for a hands-off agreement. Alinsky had some impressive backers. Among them was the old giant of the mine workers’ union, John L. Lewis, who advised him and supported him. (Like Lewis, he used Communists as organizers on his staff. He disdained the Communist Party and its Marxist and pro-Soviet positions, and regarded its members as “servants of an antidemocratic foreign power” — but because he valued the organizing skill of individual Communists, he hired them as staffers anyway.) He also bonded with key figures in the Catholic archdiocese of Chicago. The whites he sought to organize were mainly believing Catholics, and thus Alinsky became particularly close to Fr. 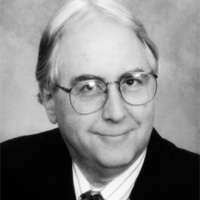 John O’Grady, whom von Hoffman credits with doing away with clerically dominated local charities and replacing them with charities run by professionals from social-work schools in Catholic colleges and universities. Later, Alinsky became close to the Catholic philosopher Jacques Maritain, with whom he regularly corresponded. He also befriended Cardinal Stritch and Fr. Jack Egan, who got the archdiocese to give him the money to launch organizing drives in the 1950s. This constituency is hardly what one thinks of as a force for social revolution in America. – Mr. Radosh, an adjunct fellow at the Hudson Institute and a blogger for PajamasMedia.com, is the author of Commies: A Journey Through the Old Left, the New Left, and the Leftover Left.